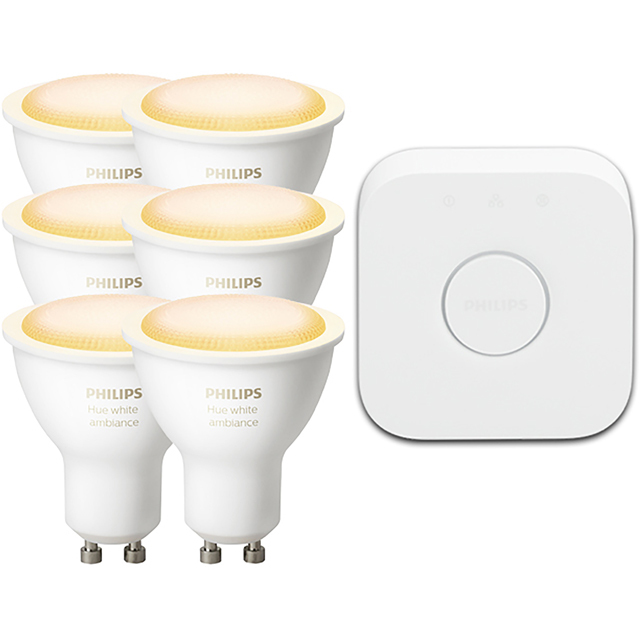 Find a smarter way to light up your home with this Philips Hue starter bundle. It comes with nine bulbs as well as the Hue Bridge, so you’ll be able to get everything up and running straight out of the box. The GU10 spotlight bulb’s design gives your room a modern feel, while their 15,000 hour lifespan means you won’t have to keep forking out extra cash on replacements. Plus, the timer feature allows you to set a routine for the lights, so after a day of work the warm hues will welcome you home. And, when you’re snuggling up on the sofa, you can adjust the brightness from your phone with the dimmer setting.